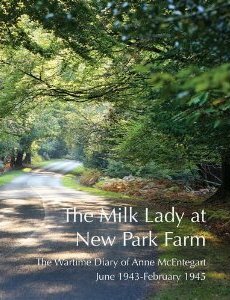 How can you buy a copy of The Milk Lady at New Park Farm? The Milk Lady can be ordered and purchased from any good book shop. P&P is FREE within the UK. To ship abroad there will be additional charges. Please contact us for further details. We hope you enjoy your purchase. However, if for any reason you are unhappy with it, you can return it to the address below within seven working days for a full refund providing the purchase is in its original condition. We reserve the right to refuse returns if the product is received otherwise than in accordance with this requirement. The expense of the return postage and packing must be borne by the customer.